“Jonathan Santlofer’s painfully beautiful new memoir, “The Widower’s Notebook,” fulfills two roles at once. Even as it makes art of his struggle to cope with the loss of his wife, it also reflects the fact that a growing number of mourning American men are publicly sharing the depths of their sorrow. 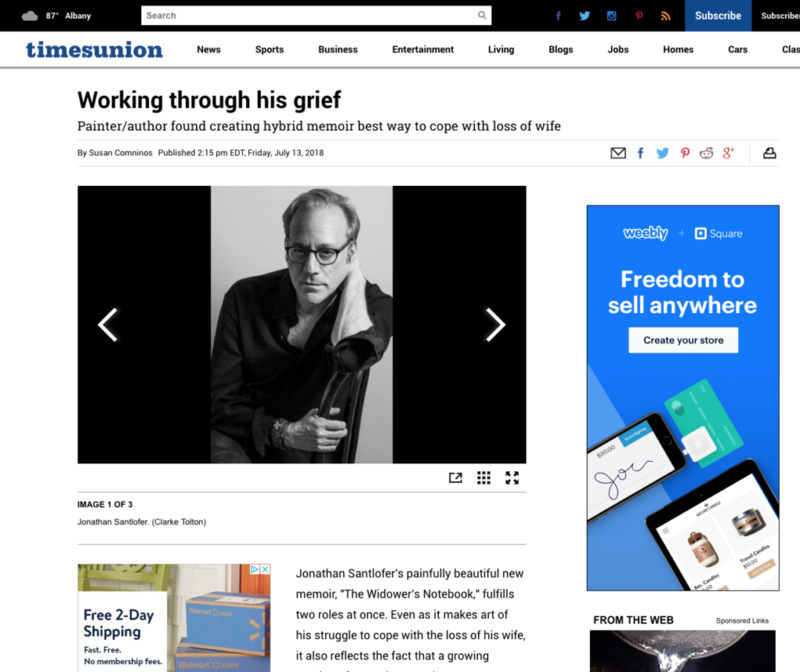 This entry was posted in Interviews and tagged Albany Times Union, Joy Santlofer, The Widower's Notebook. Bookmark the permalink.